Banner Rack; BANRACK-88, +, L, & XL 4 Sizes: BANRACK-88: Up to 8’tall x 8’wide max. BANRACK+: Up to 8’tall x 10’wide max. BANRACK-L: Up to 8’tall x 12’wide , BANRACK-XL: Up to 10’tall x 12’wide. Four black metal telescopic poles bolt together, L & XL use an extra large diameter tube. Two heavy metal feet provide support. Great for step-and-repeat walls and backdrops. Best when used with fabric, film, and light banner. Comes with a deluxe padded canvas carrying case. 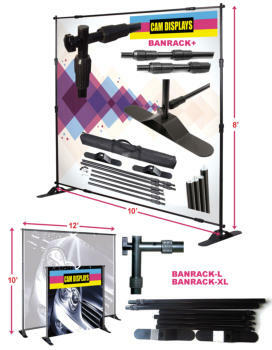 Banner Rack; BANRACK-88, +, L, & XL 4 Sizes: BANRACK-88: Up to 8’tall x 8’wide max. BANRACK+: Up to 8’tall x 10’wide max. BANRACK-L: Up to 8’tall x 12’wide , BANRACK-XL: Up to 10’tall x 12’wide. Four black metal telescopic poles bolt together, L & XL use an extra large diameter, heavy-duty tube. Two heavy metal feet provide support. 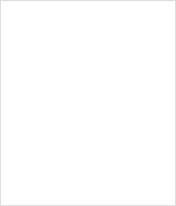 Great for step-and-repeat walls and backdrops. Best when used with fabric, film, and light banner. Comes with a deluxe padded canvas carrying case.